The consequences of a dog bite injury can be substantial. Although some bites may seem relatively minor, others can have a significant impact on your life. Either way, it’s always important to seek medical attention after sustaining a dog bite injury. It’s also important to discuss the incident with an attorney. You may be entitled to compensation if you can prove the dog’s owner was negligent. At the Jorgensen Law, in San Diego, CA, one of our qualified attorneys will review your case and determine if you should file a lawsuit. If we represent you, we’ll also take all the necessary steps to help you secure proper compensation. Why Contact a Dog Bite Lawyer? Understanding whether you’re entitled to compensation requires understanding the relevant California laws. In California, you may be entitled to damages if you sustained a dog bite in a public place, or on a private property, as long as you were there lawfully. A dog bite attorney can review the details of your case to find out if another party should be found liable for your injuries. Because there are numerous factors involved in establishing liability, you need to coordinate with a professional dog bite lawyer who has experience working on these specific types of cases. Many factors can contribute to the overall severity of your injury after a dog bite. Dog bite force is one of them. Everything from the size and shape of the dog’s skull to the musculature of the dog’s jaw can affect how strong their bite is. 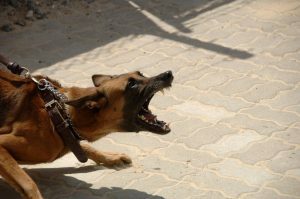 Is also not uncommon for a dog bite lawyer to consider how aggressive a dog may be when considering the role of dog bite force in a case like yours. Again, although any dog bite should be treated seriously, it’s particularly important for a dog’s owner to avoid letting overly aggressive dogs attack other people. A dog that perceives you as a threat may bite down with substantial force, causing serious injury. It’s the owner’s responsibility to make sure such dogs are not able to attack others under any circumstances. There are many ways a person may try to avoid being found liable if their dog has caused injury. For instance, they might try to demonstrate that there is no proof of ownership, or that you were on their property illegally when the incident occurred. Additionally, they might try to prove that the dog only bit you because you provoked it first. 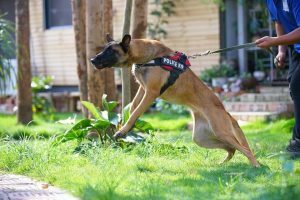 There are also instances in which dogs involved in military or law enforcement use bite people while carrying out their duties. This is yet another defense an owner may use. That’s why establishing dog bite liability isn’t always as simple as you may assume. If you’re a dog bite victim, you can’t pursue compensation on your own. The nuances of the law can prevent you from getting the compensation you deserve if you don’t understand how to prove dog bite liability. You need to coordinate with an experienced professional to build a strong case. The shape of a dog’s teeth typically results in a jagged wound when they bite you. This puts you at risk of infection. That’s why you should always seek immediate medical care if you’ve sustained any dog bite. Even if you assume your initial injuries are minor, the long-term consequences could be severe if the wound becomes infected. As you wait to receive medical attention, clean the wound thoroughly and apply pressure to stop any bleeding. Getting proper care is the most important first step to take. Once you’ve done so, document any relevant details relating to the incident. This is key to proving liability. Write down your exact memories of the event, and try to take pictures proving the owner failed to properly secure their dog. Call the police for assistance with this. You need an objective party to document the incident with you. Their documentation will be useful when you consult with an attorney and begin working on a case. Be sure to act fast, too. The dog’s owner will likely try to secure their dog after it bites you, making it difficult for you to prove they originally failed to do so. You should also contact a dog bite attorney sooner rather than later. Because a dog bite claim falls under personal injury law, you have two years in the state of California to file a lawsuit. If you don’t meet that deadline, you won’t be able to pursue compensation. If you or a loved one has sustained a dog bite in the San Diego area, get in touch with the Jorgensen Law today. We’ll work with you to determine what steps you need to take next. With help from our dedicated team, you’ll get the compensation you deserve.